The former Vice President of a South Carolina-based bank has pleaded guilty to conspiring to defraud the United States by participating in an employment tax fraud scheme that resulted in over $1 million in unpaid payroll taxes. This case shows that the Department of Justice will go after those who are complicit in employment tax fraud in addition to businesses or individuals that fail to remit payroll taxes. Douglas Corriher made several loans to a bank customer who operated staffing companies in North Carolina. These loans were made through nominees to circumvent federal laws that limit the amount that can be loaned to a single entity. Engaging in illegal activities is one of the badges of tax fraud, so these illegal loans may have indicated to the IRS that an intentional violation of a known legal duty was occurring. The staffing company handled the payroll responsibilities—including remitting payroll taxes and filing W-2 forms—for thousands of low-wage temp workers. The W-2 forms indicated that the employment taxes had been withheld from the workers’ wages, even though they had not actually been paid. A former IRS revenue officer used his knowledge of the tax system to evade more than $573,000 in taxes over a 16-year period. Henti Lucian Baird hid his income—which was ironically made as a tax consultant—in bank accounts that he created in the names of his children. He has been sentenced to 43 months in prison for tax evasion and corruptly endeavoring to impede the administration of the revenue laws. Baird operated a tax consulting business from 1989 to 2014, after working for 12 years for the IRS. 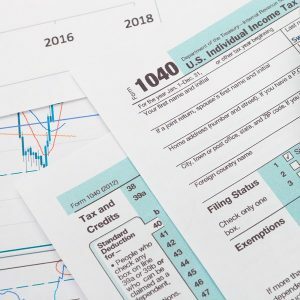 His inside knowledge of the IRS appears to have influenced how he structured his finances to evade federal income taxes, while avoiding detection for many years. If you fail to file your tax return when you have a legal obligation to do so, the IRS can use the Substitute for Return (SFR) procedure to file it for you. There are several disadvantages to this scenario from a taxpayer’s perspective, and you should take action immediately upon receiving a notice that you haven’t filed your tax return. First, the IRS will file your return based on reported information from your employers or businesses that paid you as an independent contractor, usually from W-2 or 1099 forms. However, the IRS has no way of knowing what deductions, exemptions, credits, or losses you are eligible to claim your tax return. Therefore, they will not give you credit for any of these amounts that could substantially reduce your tax liability. 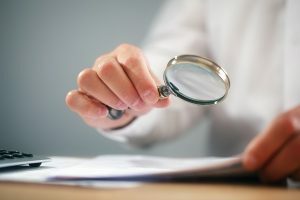 Second, the failure to file a tax return is one of the badges of tax fraud, and the IRS may scrutinize a taxpayer who fails to file a return for other indications of tax fraud. 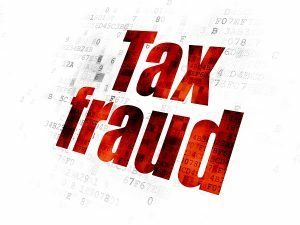 This can result in civil tax fraud penalties of 75% of the amount of tax owed, or criminal tax fraud charges, that could result in more fines or jail time. Civil tax fraud penalties are 75% of the underpayment of tax attributable to tax fraud. Whenever the IRS believes that a taxpayer has intentionally violated a known legal duty, these penalties can be assessed, in addition to possible criminal prosecution. The IRS or the California Franchise Tax Board (FTB) need to prove that tax fraud was committed by clear and convincing evidence. However, sometimes these penalties are assessed in situations where there is insufficient evidence to meet this standard. In these cases, having a bankruptcy judge review your tax fraud penalty can be an excellent option. 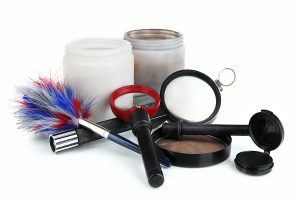 While bankruptcy can be a good option for taxpayers that just want to discharge some of their tax debt, it can also be an effective way to resolve a tax dispute. 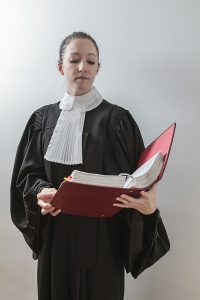 Section 505 of the Bankruptcy Code provides authority for a judge to determine the amount of legality of any tax or penalty relating to tax, regardless of whether or not the taxpayer has already paid the disputed amount. What seemed like a minor transgression when filing your tax return could end up being a tax crime punishable by years in prison. The IRS Criminal Investigation Division (CI) pursues about 3,000 criminal prosecutions per year to provide a deterrent effect to all taxpayers. If you have been chosen as one of the taxpayers to be “made an example of”, you could face severe fines or time in jail in the name of increasing tax compliance by other taxpayers. The criminal investigation process often begins when an auditor or collection agent detects possible tax fraud. The IRS can also be “tipped off” by the public—anyone can submit a 3949-A Information Referral form to the IRS that reports suspected tax law violations. Other law enforcement agencies can also reported suspicious activity to the IRS. Special agents may then begin a preliminary investigation. A supervisor will evaluate the information to determine if further investigation is warranted. At least two layers of CI management must review the information before a criminal investigation can proceed. What Is an Abusive Tax Shelter? An abusive tax shelter is an investment scheme that attempts to reduce income tax without serving any other economic purpose. The value of income or assets is not changed, so the sole purpose of an abusive tax shelter is to avoid tax. The IRS attempts to deter participations in abusive tax shelters through tax audits, summons enforcement, litigation and other methods. There is also an abusive tax shelter hotline, where anyone can anonymously provide information about abusive tax shelter transactions. Tax fraud is a crime that involves intentional wrongdoing when failing to comply with a tax law. If you simply make a mistake when filing your taxes, the IRS may charge you with civil penalties, but they will not pursue any criminal charges. If, however, the IRS believes that you intentionally failed to meet your obligations as a taxpayer, you could face criminal penalties and jail time. Tax fraud can result in up to 5 years and prison and a $500,000 fine. The IRS does not commonly pursue criminal charges, so if they have singled you out for a criminal tax violation, you should immediately consult with a tax attorney. Tax fraud occurs when an individual’s conduct goes beyond negligence and becomes intentional or willful wrongdoing. It has been described as an intentional violation of a known legal duty. 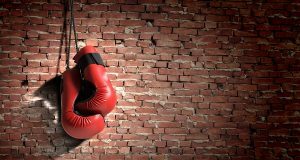 If you want to fight tax fraud penalties, you will have to convince the IRS that they have insufficient evidence to prove that your acts were willful. 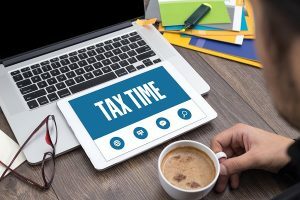 You may be able to fight the charges against you, or negotiate the amount of penalties owed, but you must consult with a criminal tax attorney before saying anything to the IRS. What Are the Potential Penalties for IRS Tax Fraud? 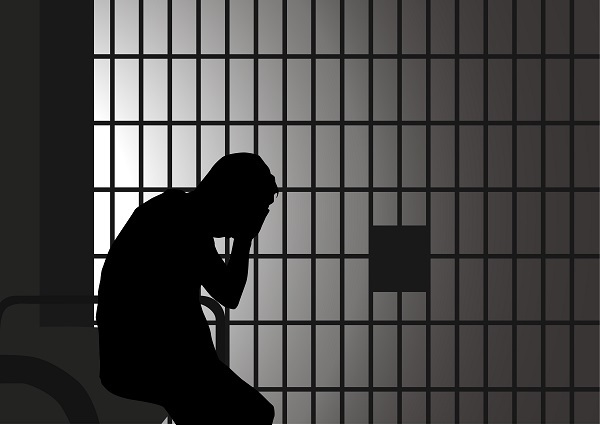 The idea of being sent to prison for making a mistake on your tax return may seem ridiculous — and also scary — to the average taxpayer. With so many regulations to follow that even IRS employees can become confused, how can a lay person with no tax expertise be charged criminally for messing up their taxes? Actually, they cannot be charged criminally if an honest mistake was made. While tax fraud can results in both civil and criminal penalties, there is a higher standard of proof for criminal charges. 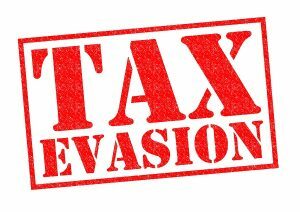 The IRS must prove criminal tax fraud “beyond a reasonable doubt”, whereas a civl tax fraud penalty can be imposed if there is “clear and convincing evidence”.